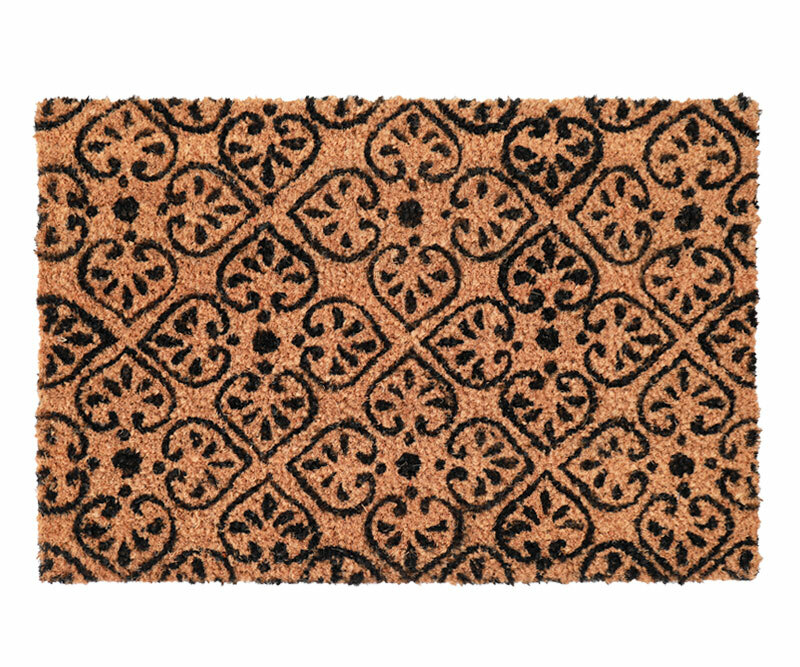 This low profile coir doormat features a charming pattern of stylised leaves and flowers printed in black on a vinyl backed doormat. Measures approx 60cm x 40cm and 1.5cm thick. Vinyl backed doormats have the benefit of being more slimline than regular 100% coir doormats which allows them to be used under doors with a lower clearance. The vinyl also stops any dampness from the ground getting up into the coir fibres. *To ensure best performance and longlasting beauty of your door mat, please make sure that it does not get excessively wet and be aware that cats and birds scratching the door mat can lead to excessive shedding.